When I think of stylish watches, Michele comes to mind. 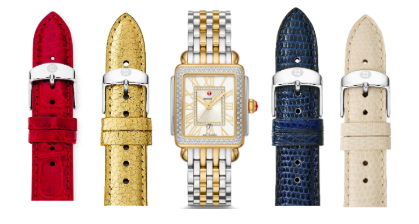 I love everything about their classically on-trend timepieces, especially the many interchangeable straps that I would use to mix and match with all of my outfits. To go from work to weekend, I would just switch to a bold colored strap, most likely red in the winter and yellow in the summer. One of my favorite ways to be daring with my jewelry is to mix metals, so the two-tone Michele Deco Madison watch was meant for me! It’s the perfect way to get the “more is more” look on some days, but also be able to tone it down when I want a more professional look. I would easily pair this watch with some of my funkiest jewelry pieces, like a metal cuff, a few chains, and maybe even a charm bracelet. This watch just screams Instagram to me! This year has been all about gold. Pink and yellow gold have been the go-to metals for my wardrobe. From big hoops, to layering necklaces, and everything in between, the warm tones make me feel like I can conquer the world—or at least the streets of New York City. 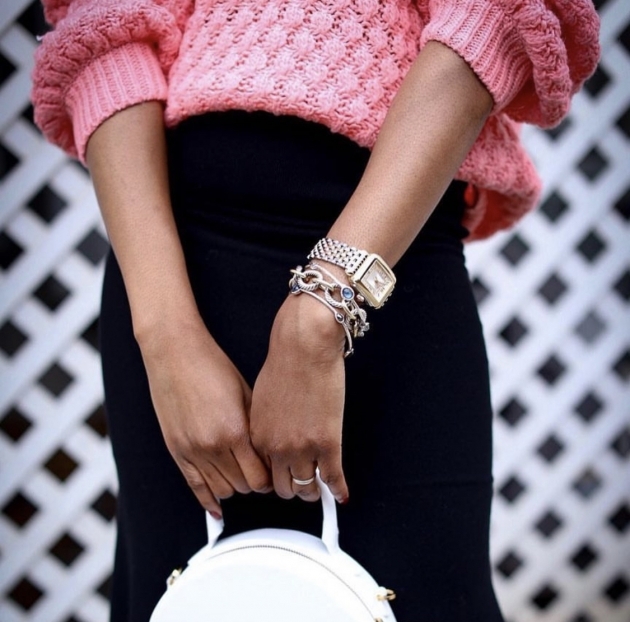 Watches are one of my favorite ways to incorporate trends into an outfit. 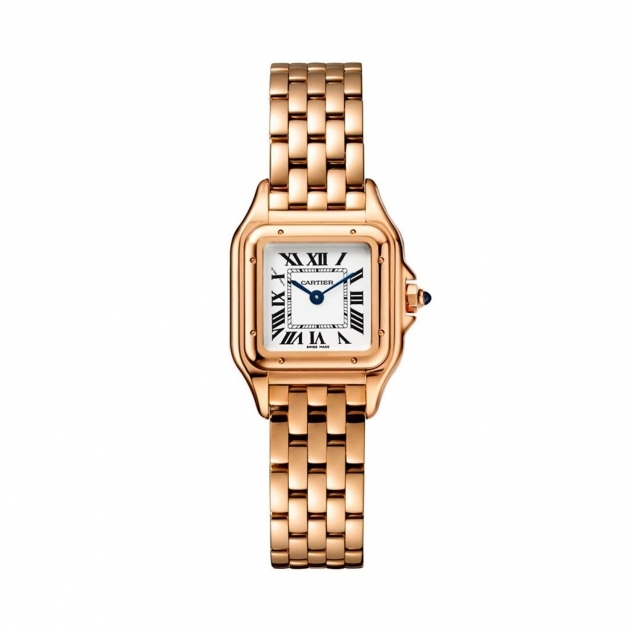 When I’m feeling fun and flirty, I would pair this classic Cartier with an arm full of colorful bangles and bracelets. And, for an edgier vibe, I would stack on an arm full of gold. This elegant timepiece is one of my absolute favorites. 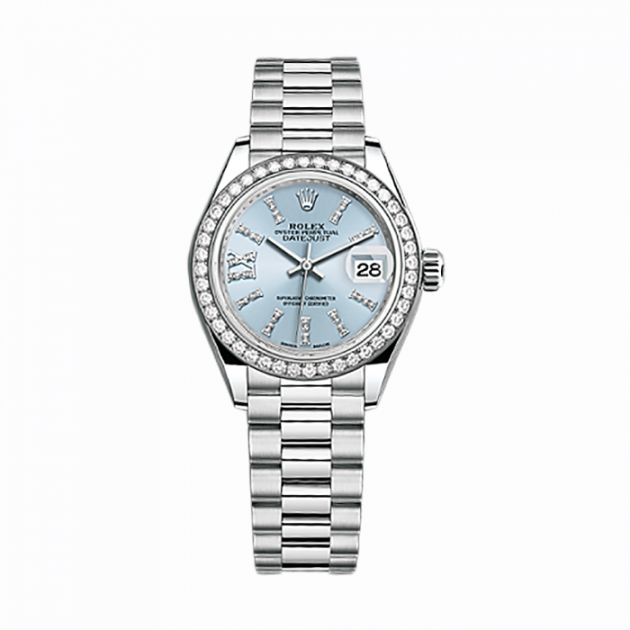 The icy blue face of the Lady-Datejust makes my eyes light up every time I see it. It’s the perfect mix between classic and modern. A watch like this can speak for itself, so I would go for a very delicate and feminine stack, adding just a silver bracelet or two. And come summertime, a simple beaded bracelet is all it would need.